A few years ago, my sister-in-law found out from a friend that there is an organic CSA farm in our town. We both got so excited! It is expensive, so we agreed we would split the share and she put us down on the waiting list. It took 2 years but she finally got the email over this past winter saying we made it to the top of the list and we could get a share this year. YAY! 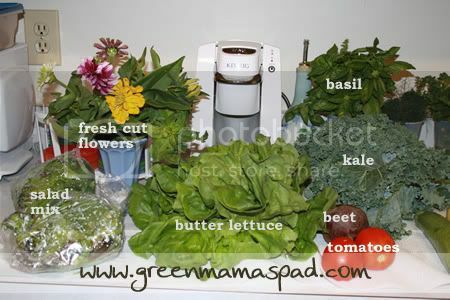 With our CSA, you pick up once a week so we have been alternating weeks. I went week 1, she went week 2, etc. 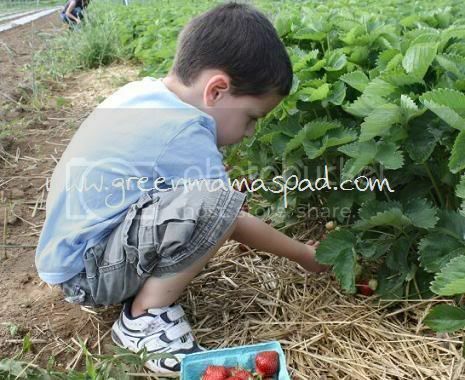 The first week that the farm was open they had Strawberry picking and my 5 year old had a blast. I swear they were the best tasting strawberries I have ever eaten. That first week was mostly salad greens and other greens like spinach. As a bonus I also got a Dalia bulb to plant! As the season has been moving on each week there is more and more food to choose from. A few weeks ago we got to pick our own Sugar Snap Peas and Basil. This past week was my 3rd pick up and I was in complete shock with how much they had out and how much we were allowed to take. I know we paid in advance but I swear I feel like I am robbing them. Just take a look at what I cam home with on Saturday. I still can't believe how much food I got. 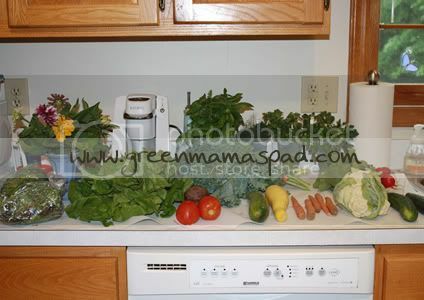 My favorite part is going out into the fields and cutting my own herbs or picking my own veggies/fruit. I told my sister-in-law that just the experience alone is worth the money. I feel more connected to the land and the food, as silly as that may sound. And while I absolutely hate bugs like spiders, I find comfort in seeing them crawling over the plants as I am picking because it is a reminder that there are no pesticides being used. 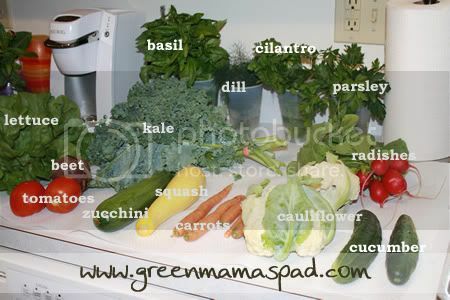 Who else out there in the blogosphere is part of a CSA? I'd love to hear about your experience and why you enjoy it? Have a blog post about it? Share it! I had a CSA last year, and I absolutely loved it. We moved cross country in the middle of this season so I don't have one now, and I'm sorely missing it. I think what I loved the most about it was the excess. We got so much food I had to be creative when cooking, and we tried vegetables we don't usually get. I had to learn new ways to preserve things, such as freezing and canning. It was so much fun. I am so envious. We don't have anything like this in the U.K. But I made do and try and grow a little at home. Couldn't agree more. There are so many benefits to joining a CSA (for yourself and for the environment). Thanks for spreading the word!